Renting, hiring or selling your property? Mains Powered Smoke Alarms! Is it law for residential properties to have mains powered smoke alarms installed? Residential properties that are subject to sale, rent or hire are required under the Building Regulations 2012 to install mains powered smoke alarms. This includes Class 1a, Class 1b, Class 2 and Class 4 buildings, as defined under the Building Code of Australia. When did the smoke alarm regulations commence? The requirement came into effect on 1 October 2009. I am planning to sell my home. It does not have any hard wired (mains powered) smoke alarms installed. What am I required to do? You are required to install mains powered smoke alarms prior to the transfer of ownership (settlement). I am thinking of buying a new house to live in. Who has to fit the smoke alarms? It is the responsibility of the vendor (seller) to install smoke alarms prior to the transfer of ownership. I am thinking of buying a house. How do I know if the smoke alarms fitted are compliant? 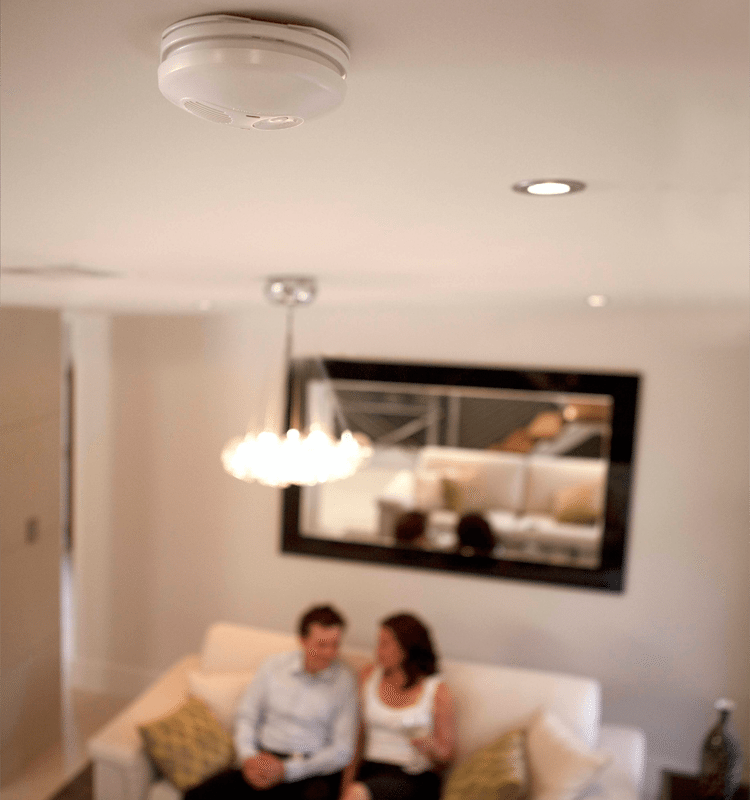 When purchasing a home, buyers should check that the smoke alarms are: Permanently connected to mains power Are less than 10 years old Are correctly placed (please see DFES Smoke Alarm Fact Sheet for correct placement) A mains powered smoke alarm will usually have a LED indicator. Look for terms such as Mains or AC next to the LED indicator. I have recently taken ownership of a house and it does not have smoke alarms fitted. What can I do? Contact the seller and ask them to rectify the situation. Alternatively, you can install the smoke alarms to meet the requirements and, if the transfer of ownership has occurred within the last 12 months, recover reasonable costs in court from the previous owner. In addition action can be taken against the previous owner by your local government and an infringement notice issued or prosecution action taken. A fine of up to $5,000 can be imposed. As the new owner, if there are no smoke alarms installed when you take ownership of the property you will be required to fit smoke alarms within 12 months otherwise you will be in breach of the regulations. The best advice is to check with the vendor (seller) and confirm that smoke alarms have been installed prior to the transfer of ownership. I am a landlord. What are my legal responsibilities in respect to smoke alarms? If you need smoke alarms installed or would like a quote, please contact us via the website, email or give us a call on 0418 780 007! We’d be happy to discuss it with you!